I want to buy Life Uncommon on DVD - Jewel in her earlier years. I love the Humphrey's At The BAy DVD . Is Life Uncommon as good as that? I would love your opinion on this. Thanks a bunch Jewel fans!! I loved Life Uncommon. It's really great at showing where she's come from and stuff. Her face is moonworn and thin, she's been wishing on too many stars again. To me it's kinda like comparing apples to oranges. Humphrey's is a polished production and completely centered on her stage performance. Life Uncommon shows more about her life, and is a more rustic approach to showing us Jewel and her musicmaking. I think you should DEFINITELY buy it because you'll see things behind the scenes more. You'll get a deeper appreciation for what Jewel does. The first time I watched Life Uncommon's concert videos, I got a headache from the camera being really shaky. The second time, I hardly even noticed it. The video's definitely worth it, though. I'd recommend DVD vs VHS. I loved it. I agree that the music was GREAT, and that was how I was introduced to some of her non-album songs. The versions of "Last Dance Rodeo", "Down", and "Summer Home In Your Arms" were great and really wish I had them on audio. 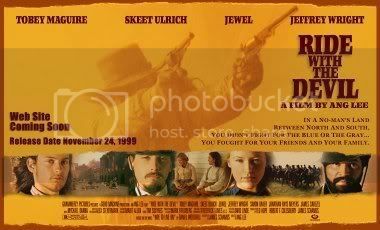 I like the part during the closing credits where Jewel improvises and makes that fake cowboy song up on the spot. I was thinking, wow, she can write a better improvised song than most songwriters today take hours to write. JEWEL Live in Hollywood 1999. If you want acoustic then Humphrey's (which you and i love) is the best. the Life Uncommon DVD has an AWESOME version of "Barcelona", and a cool "audience sing-along" version of "Foolish Games" (speaking of that FG clip [for those that don't know the part I'm talking about, it's intercut with her brother Atz talking about coming back from Alaska and seeing her on all these magazine covers], does anyone know where/when that was performed?) And it shows her writing "Last Dance Rodeo". "I'd rather see the world from another angle"
I don´t know what to think about that DVD (Life uncommon) cause I had never ever found that DVD which really makes me sad. I do have the second DVD (Humphrey´s by the Bay) and it´s pretty cool, truly awesome, wonderful!! !.